Renowned Bollywood actor Sudhanshu Pandey is waiting for his next big release with Rajnikanth in ‘2.0’. Sudhanshu Pandey in a photoshoot. Renowned Bollywood actor Sudhanshu Pandey who is waiting for his next big release with Rajnikanth in ‘2.0’ is in Bengaluru to shoot his first Kannada movie with Kannada super star Sudeep! The actor, who made his thunderous debut in Tamil film ‘Billa II’ (2012), is all set to storm the screen alongside Rajinikanth in Shankar’s much-awaited film ‘2.0’ and now with Sudeep in ‘Kotigobba’. Sudhanshu Pandey has been seen in many hit Bollywood films & TV shows such as ‘Singh is King’, ‘24 Season 2’, ‘Yakeen’ to name a few. He is a popular face in ad world too since he started his career as a model. He is also an ex member of first boy band in India named ‘A Band Of Boys’. He is releasing his first solo single on 2nd May. The song that has been co written & produced by him, will also feature him in the video. 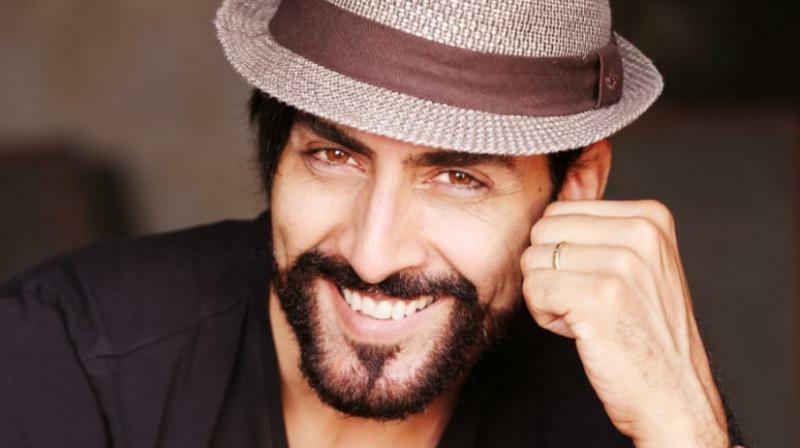 Sudhanshu presently is in Bengaluru for ‘Kotigobba’s shoot.